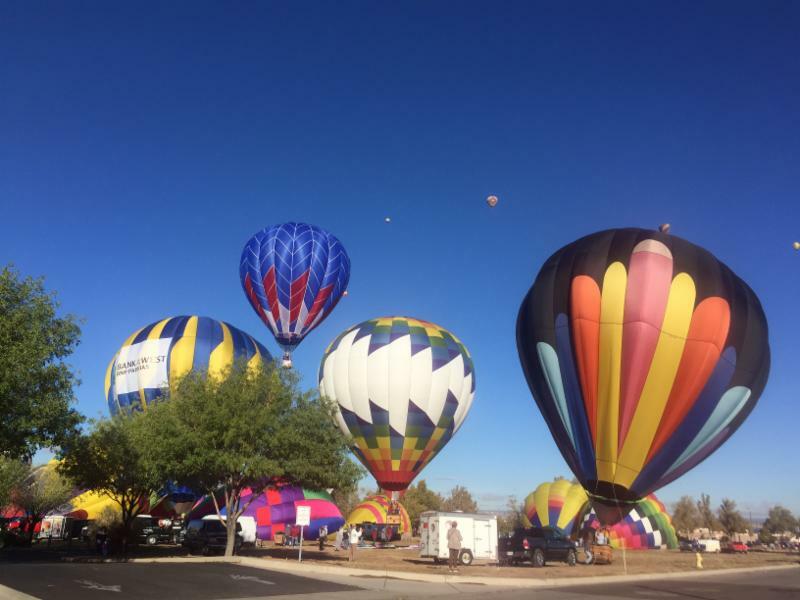 ﻿ Fall in New Mexico conjures up images of hot air balloons, fall colors on the mountains and sunsets that take your breath away. 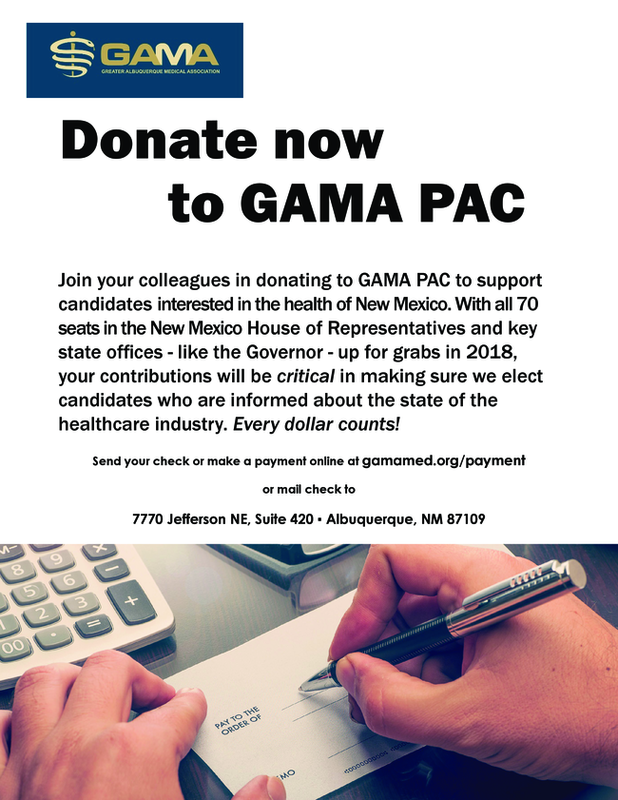 At GAMA it also includes a calendar packed with dates and events that are critical to our mission and your success. 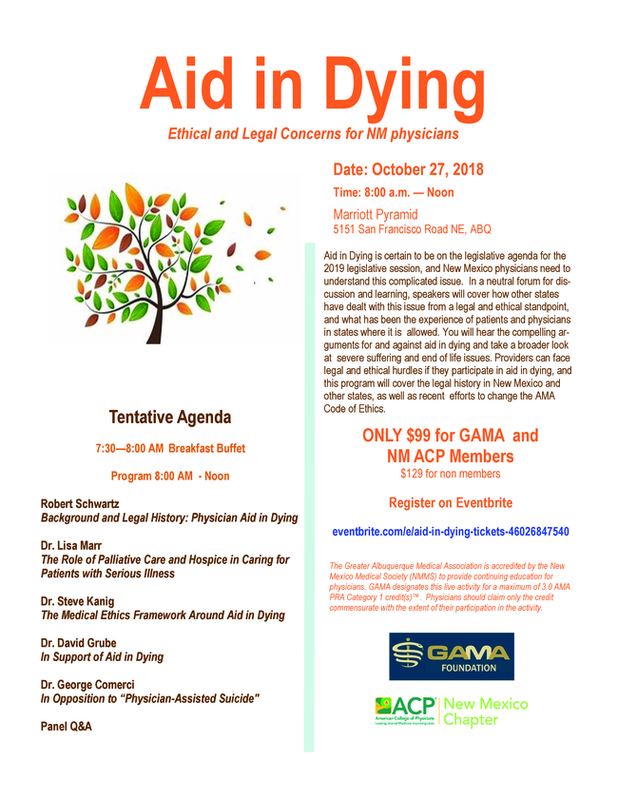 First, Saturday, October 27th is the Aid in Dying CME that will present you with the tools you will need to prepare for the bill that will be introduced in the 2019 legislative session. 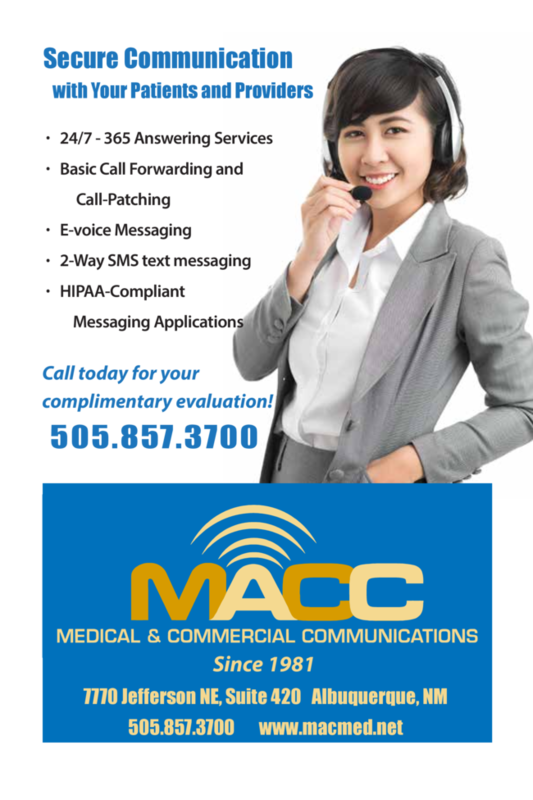 Later in this newsletter is a flyer with all the details and how to register. Registrations close Friday, October 19th so click on the link provided today. 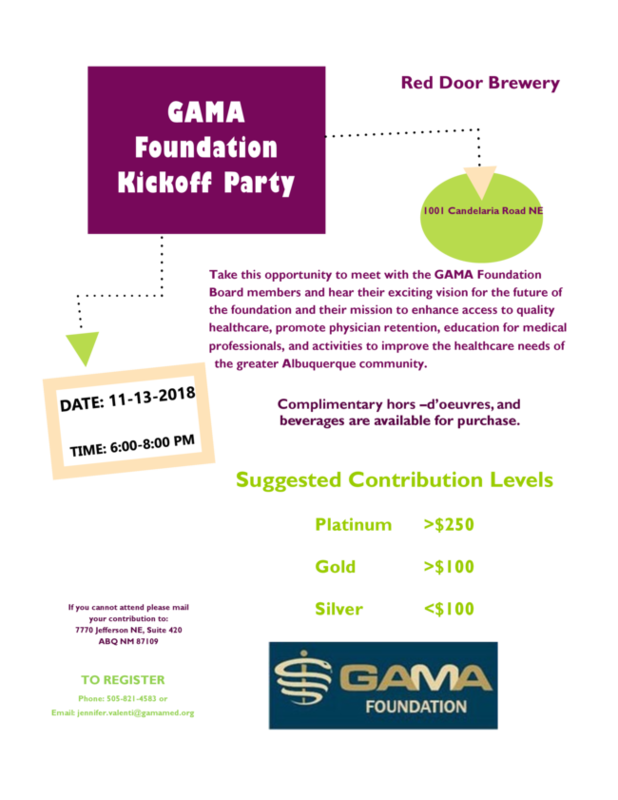 Second, a kickoff party for the newly organized GAMA Foundation is slated for Tuesday, November 13th at the Red Door Brewery. 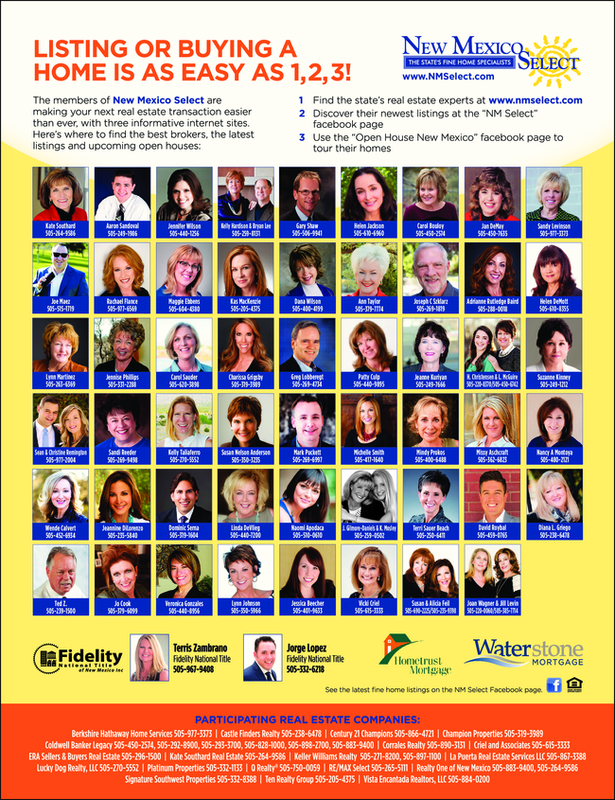 You won't want to miss the festivities and hear about the exciting programs from the Board members. You will find all the info for the party further in the newsletter. See I'm making you scroll through the whole thing :) ! 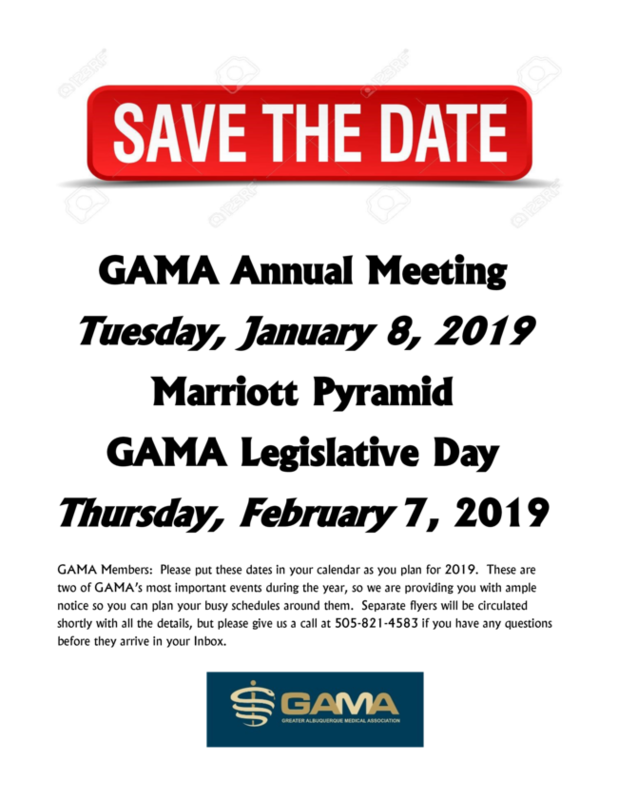 Third: Save the dates for GAMA's annual meeting on Tuesday, January 8th at the Marriott Pyramid and Thursday, February 7th for our annual day at the legislature. 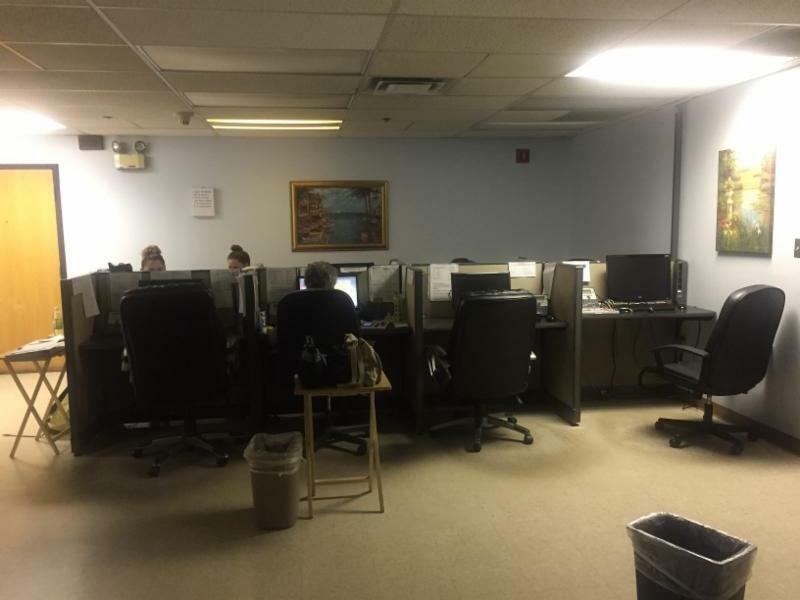 We are finalizing details but will have information out very soon. Check your inbox. And last but not least, expect to see a whole new look and user friendly web site from GAMA in the next few months. We can't wait to roll it out so you can give us feedback to keep it fresh and engaging for you. We hope to see many of you at our fall events but,whatever you do, get out and explore the beauty of our Land of Enchantment. 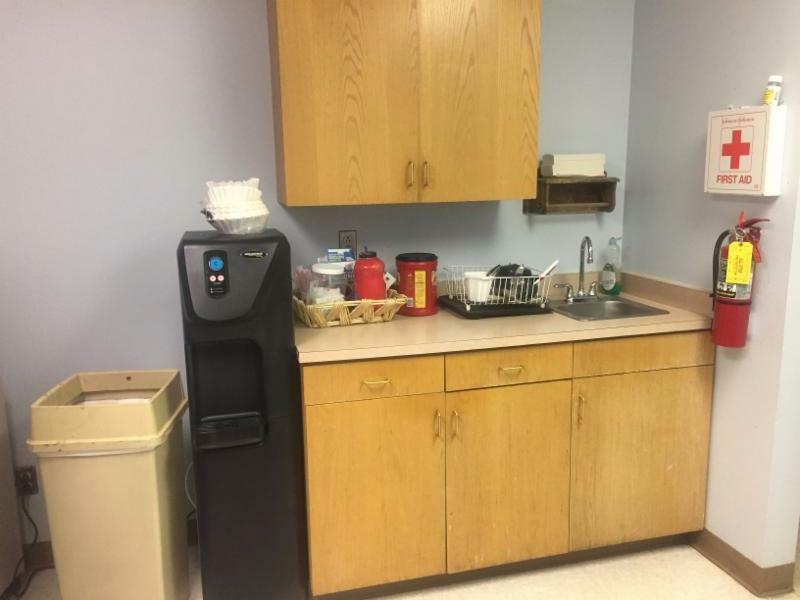 Who wouldn't be excited to come to work every day if you were greeted by this! 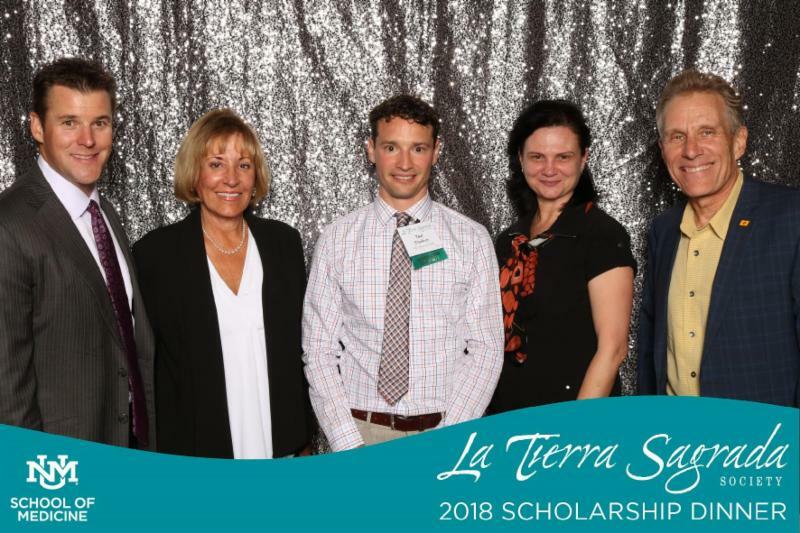 A great evening was had by all at the 2018 annual La Tierra Sagrada dinner Thursday, September 21st at Hotel Albuquerque. GAMA members were delighted to host and honor their scholarship winner, UNM medical student Teal Clocksin, at the dinner. La Tierra Sagrada awarded $202,500 in scholarships to 49 recipients. From left to right: Chris Cates, RBC Wealth Management, Sylvia Lyon GAMA Executive Director; Mihaela Bujoi, MD, GAMA President; Harvey White, MD, La Tierra Sagrada Board Member.